The Italian designer Massimo Piombo has strong and fabulous taste. The look book for his Spring-Summer collection is notable because the model is a Japanese aristocrat, the colours are bold, and because the single-breasted jackets are buttoned on the lower of two buttons. Written down this last detail doesn’t seem like earth-shattering news, but the effect is powerful. 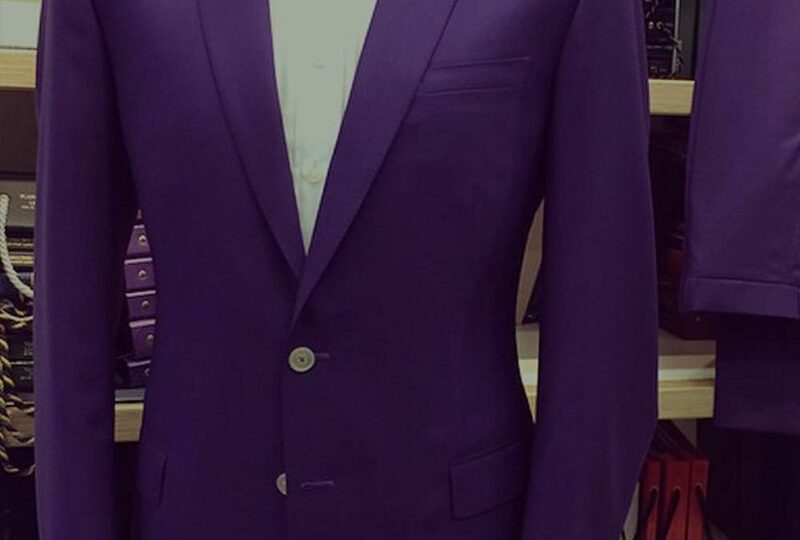 Visually it creates a much longer line from the lapels down to the button, which elongates the torso, and psychologically it gives an impression of a particularly Italian strand of sartorial carelessness. Done right it comes across as an authentic expression of sprezzatura, the deliberate casualness first defined in the 16th century, and a recurrent thread in the story of male elegance. As an aside it’s interesting to think about the fact that a jacket’s buttoning point ought to correspond to, although not match, the top of the trousers. Now that trousers sit lower on the hips it follows that buttoning points should follow their descent. Because the button points of double-breasted jackets are more varied they are subject to more possibilities. On a traditional 6×2 jacket (six buttons on the chest, two of which can be fastened) a man’s free to fasten the upper button, the lower button or both. Doing both looks very neat, doing only the upper one looks tidy but not fastidious, and doing on the lower one rakishly lengthens the lapel roll and hints at something of a devil-may-care attitude (at least in the minds of fellow clothing nuts). There’s also the internal ‘jigger’ button to consider. Leaving it unfastened produces a visible tug on the fastened external button that further decreases tidiness, and further increases the rakishness. Cuff buttons, the working of which is a source of pleasure to many bespoke customers, are a different matter. Now that some ready to wear jackets are produced with one button left unfastened (and unfastenable) the dubious affectation of leaving a cuff button undone, to impress on others the fact that one uses a tailor, has become even more disreputable. So experiment with which buttons you fasten, by all means. But only on the front of your jacket.